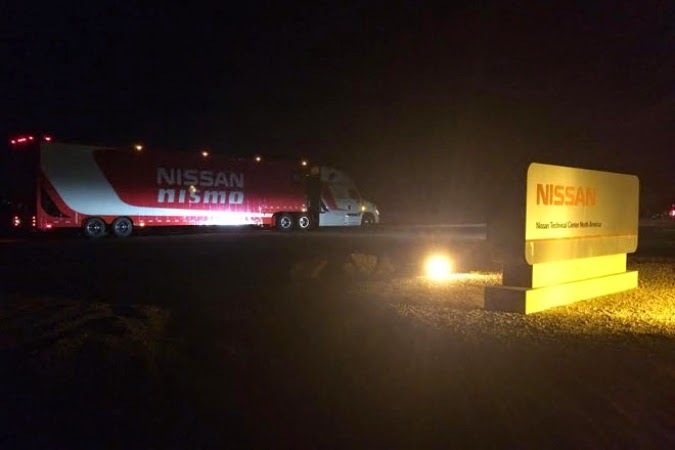 According to Racer Magazine the Nissan NISMO LMP1 car has just hit Arizona for testing. It was originally reported that information on the car would be available in December, but the latest news says not before the New Year. Looking forward to what we might see. The new Nissan LMP1 factory program has ventured out from its temporary base in Southern California to conduct its first test at the Nissan Technical Center in Stanfield, Ariz. The nature of the test is unknown, although with a secluded 5.7-mile facility at its disposal, a variety of options would exist for the team while running without fear of onlookers exposing their new-for-2015 Le Mans challenger penned by designer Ben Bowlby.